Buying your first home generates a lot of excitement and a long list of new tasks and responsibilities. For most homeowners, home security is a top priority, but keeping your home safe from intruders means you have to think about more than just deadbolts and home alarms. Whether you live in an urban area or among rolling country hills, a welcoming committee of common pests is waiting to make your home their own. Understanding when and how pests operate will help you protect your biggest investment and prevent seasonal pest problems. 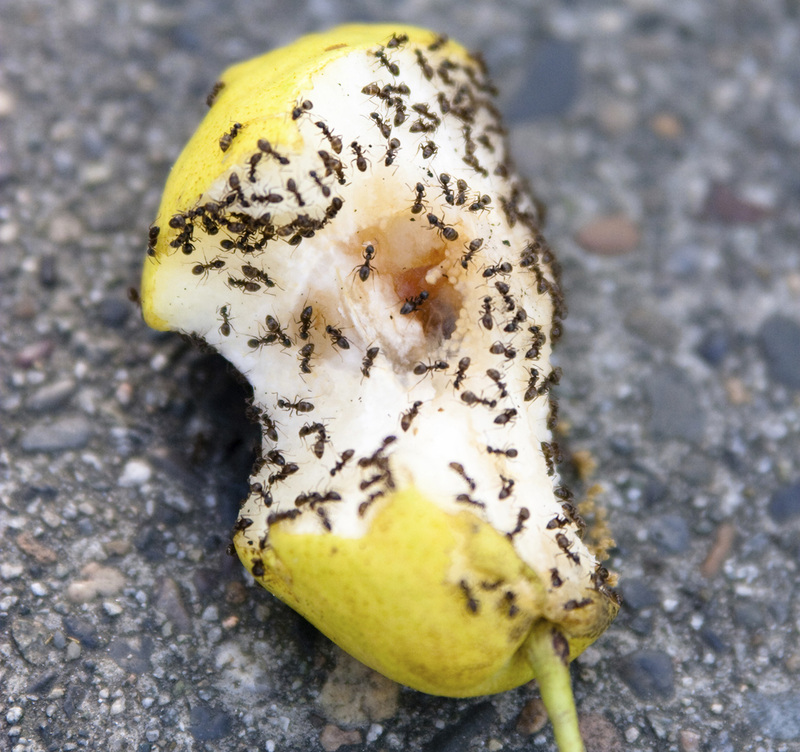 Pests, like any living creatures, seek food, water and entry points to shelter — and they don't need much of an opening. The University of Kentucky College of Agriculture reports that common mice can squeeze through openings as small as the diameter of a pencil, while spiders and many other insects can enter through 1/16-inch cracks, or smaller.1 For ants — the most common and persistent household pests — small cracks are like wide-open doors. Eliminate yard and garden debris that can serve as pest hiding places or homes. Remove leaves from around your foundation, clean household gutters, and keep your garage and other outbuildings clutter-free. Seal all cracks and larger openings in your foundation and siding joints. Openings around water and gas pipes, cable and phone lines and windows are common entry points, easily blocked with clear caulk or other sealants. Sealing reduces energy consumption, too. Keep door sweeps and thresholds tight; door corners, in particular, are prime avenues for insect pests. Keep wood landscape mulch away from your foundation, so moisture and pests won't accumulate. Consider deterring pests with stone mulch or fresh cedar chips. Trim overhanging tree limbs and cut back shrubs that touch your house. Both provide ready runways for wildlife and insects. Eliminate pooling water under outdoor faucets, and position gutter downspouts so rainwater moves away from your foundation. Fill moist, low-lying spots where pests can drink and mosquitoes can multiply. Cover any vent openings with wire mesh, also known as hardware cloth, to eliminate unwelcome intruders. Pest activity runs in cycles — seasonal highs and lows. Spring and summer are peak times, so act early. Dealing with outdoor pests quickly reduces indoor problems later, when cold weather, prolonged rain or extended drought cause pests to look for warm, dry spots or food and water sources indoors. Pest activity kicks off early and rodents lead the way. From early spring through summer and into fall, moles and gophers can decimate lawns and leave them lined with tunnels and mounds. Act fast, at the first signs of mole and gopher activity, before the warm weather arrives. Effective remedies from the AMDRO® line of mole and gopher control products that stop damage from escalating include AMDRO® Mole* & Gopher Bait, AMDRO® Gopher Gasser and AMDRO® Gopher Traps. Spring and early fall months are prime times for tackling fire ants. As soil temperatures warm in spring, fire ant activity increases until summer heat slows these pests down. Activity peaks again once moderate temperatures arrive in early fall. If you live in fire ant country, beware of the damage they cause lawns and the pain these stinging creatures inflict on humans, pets and wildlife. Act quickly, before fire ants become serious threats. The Two-Step Method to Fire Ant Control teams AMDRO® Kills Fire Ants Yard Treatment Bait with AMDRO® Fire Ant Bait. Fire ants take the bait back to their colonies, killing the ants you see, as well as those you don't. Ants and other common outdoor pests become more active as spring turns into summer. Warm weather, drought and changes in your activities, such as an increase in barbecuing, cause a rise in pest problems. Secure your home's perimeter against ants and other insects before problems move indoors. AMDRO® Ant Block® Home Perimeter Ant Bait creates a barrier around your home, causing ants to take bait back to their nests, killing the colony, not just the scouts. AMDRO® Kills Ants™ & Spiders Granules kills up to 50 insects and spiders within 24 hours of application, and eliminates other pests, including cockroaches, silverfish, chiggers and ticks, for up to two months. Ready-to-spray AMDRO Quick Kill® Lawn & Landscape Insect Killer RTS kills more than 500 troublesome lawn and garden pests, including termites, cockroaches, bagworms and ground beetles, and it's effective for up to three months. As ant activity increases, watch for high-traffic ant trails around your new home and garden areas. Fight ants indoors and out with powerful options, such as the AMDRO® Kills Ants™ line of ant control products. Target outdoor areas with in-ground bait stakes. Outsmart indoor ants by placing bait stations in warm spots behind ovens, refrigerators and other appliances that give off heat, and under sinks where moisture or wastebaskets draw ants inside. AMDRO® Kills Ants™ Ant Killer liquid ant bait, AMDRO® Kills Ants™ Ant Killing Bait stakes, AMDRO® Kills Ants™ Ant Killing Bait stations and AMDRO® Kills Ants™ Liquid Ant Killer dropper deliver ant-fighting solutions for every situation. Before cold temperatures arrive, take time to again clear leaves from your foundation and gutters, and seal any new cracks or holes to prevent pests from overwintering inside your home. Trim tree limbs and shrubs again, if needed, and stack winter firewood at least 20 feet away from your home. Pest control during the peak spring and summer seasons protects your new home and your family. AMDRO® products help you hold the line against common pests and keep you and your investment covered. Amdro, Amdro Quick Kill, Kills Ants, and Ant Block are trademarks of Central Garden & Pet Company.